« Help Us, Social Media. You Are Our Only Hope. You get home from a stressful day working at the funeral home. You change out of your suit and into your comfortable clothes and as soon as you sit down, your cell phone rings. “There’s a death at such and such place.” And in your head, you’re thinking, “Gahhh! I just … took … my suit off!” It seems to happen all the time. So you grab the suit that you so carefully hung in your closet, tighten your tie, slap your uncomfortable dress shoes back on your feet and put the drink that you just poured yourself back in the fridge. Last week, I got home at around 4:30 on a Friday and had just put my feet up. And you guessed it. A death call. 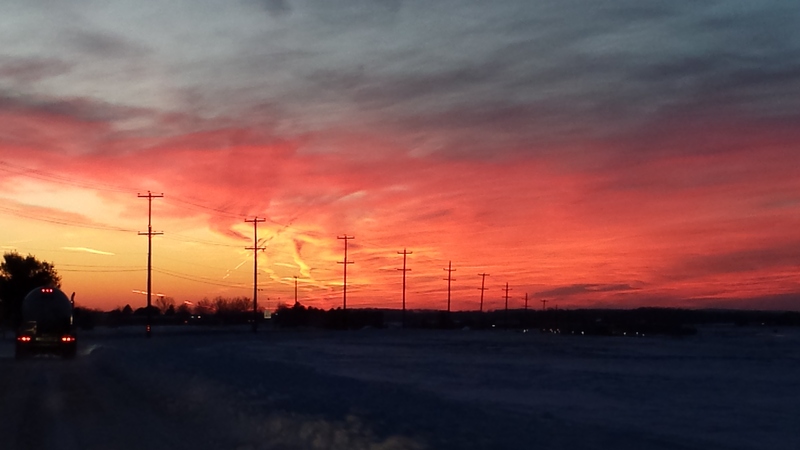 As I drove away from the hospital, the sun set was spectacular. It changed every minute I drove, so I decided to pull out my phone, pull off the side of the snow covered road and take some photos for Instagram. And then I, too (with the help of my imagination), saw it. A woman’s profile, looking upward into the heavens. The next day, we showed the family this photo. And of course it touched them. They had experienced pain. Grief. And immense heartache as they had watched their mother deteriorate to death. And when you see this much pain, it can feel as though the world is against you. That God himself has set his face against you. Call me a skeptic. Call me cynical. But I don’t believe this filtered Instagram photo is a message from the deceased. Or a message from God. This isn’t Jesus toast. I do, however, see it as a symbol … a symbol of goodness … a symbol that maybe God is for us. And I think it’s helpful to distinguish between symbols and signs. Symbols are important in death because they can express ideas and feelings where words fall short. And this beautiful sunset was their symbol of their mothers’ peace and freedom from the pain that wrecked her young body. Symbols reach where words cannot. But, reaching for signs … looking for communication from the other side can, at times, be maddening and confusing. It’s dangerous — even neurotic — for our already grieving mind to go looking for signs from the deceased; but symbols are different … because symbols find us … they communicate what we can’t. Whether it be the cross, or a woman in the clouds, symbols help us see the heavens. 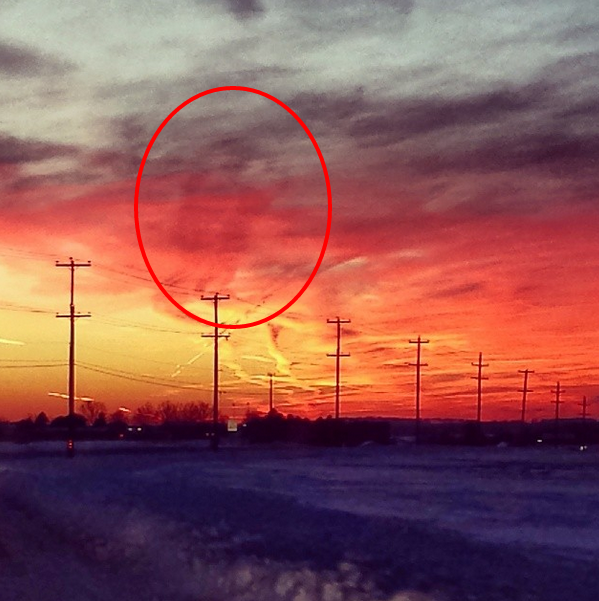 And this symbol in the clouds gave this grieving family a small glimmer of hope in their hour of darkness. Symbols, like the cross, help us believe. They help us see the heaven in the midst of the hell. This entry was posted by Caleb Wilde on January 16, 2014 at 10:47 am, and is filed under Religious Ritual. Follow any responses to this post through RSS 2.0.You can leave a response or trackback from your own site.